Like a lighthouse above the desert rises the tallest adobe structure in the world – minaret of Agadez Mosque. 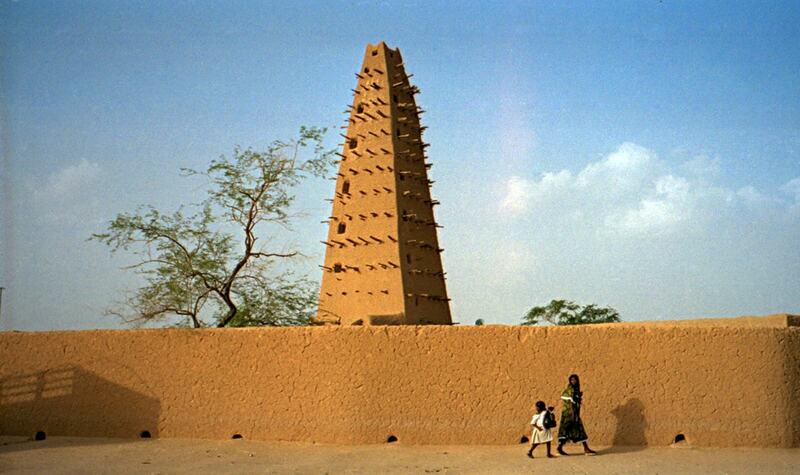 This 27 m tall tower for centuries has served to watch out for enemies and invited caravans to Tuareg metropolis – Agadez. Such building materials as wood, cement, construction stone are scarcely available in Sahara. There is not enough wood or other fuel to make proper bricks. Nevertheless there is a solution to every problem: buildings in the desert cities of Sahara are made from local material – mud, straw and pebbles. This mix is dryed in the Sun, creating fairly strong material – banco (a kind of adobe). This specific construction material, construction methods and maintenance works defines the rounded, slighly crooked forms of buildings. Adobe buildings need maintenance frequently – wind and occasional rain wear down the walls. Taller towers elsewhere would need erection of scaffolding for each repair. But Tuaregs have solved this brilliantly. Tower itself contains scaffolding: wooden beams sticking out from the walls of tower. Agadez Mosque, as seen by first Europeans in this area / From H.Barth, Travels and discoveries in North and Central Africa, the 19th century. Agadez Mosque is central shrine in city. 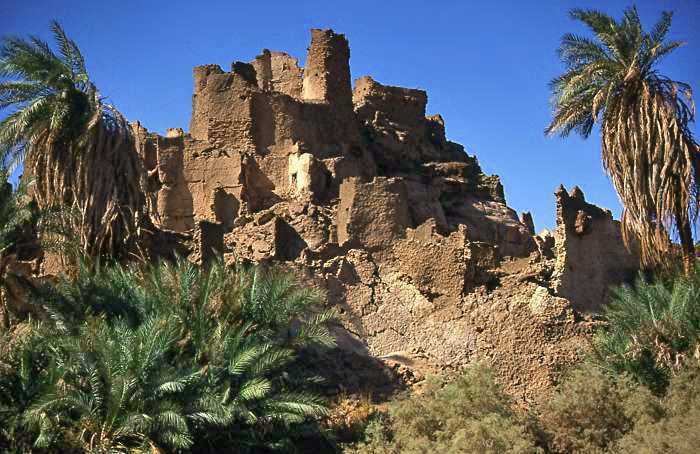 Agadez city started to develop in the 11th century AD and in the 14th century here was built residence of the Sultan of Agadez, leader of local Tuaregs. City was important trade centre and also a centre of learning. Agadez Mosque was built in 1515, when city was captured by the Songhai Empire. Tuaregs, reportedly, went to Timbuktu to learn construction techniques and only then built this magnificent building. Mosque was restored and partly rebuilt in 1844. Now it is the dominating structure in this desert city and approaching caravans see it long before they see the city itself. 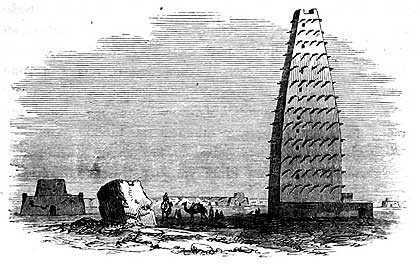 Tall tower served as watchtower – Agadez was fortified city in the past and it could stand against the siege. Mosque is a symbol of Agadez and in a way – a symbol of the whole north of Niger. Visitors, reportedly, are allowed to climb the minaret (but one should be lean and fit!). View from the top of minaret is astounding – the cityscape of Agadez is very unusual, as (almost) all buildings are made from local material and blend in with the ochre color of ground. For most part Niger is covered with desert. While some parts of country have monotonous landscape, there are suprising landmarks. Highlights of Niger are historical desert cities and towns as well as the local adobe architecture. 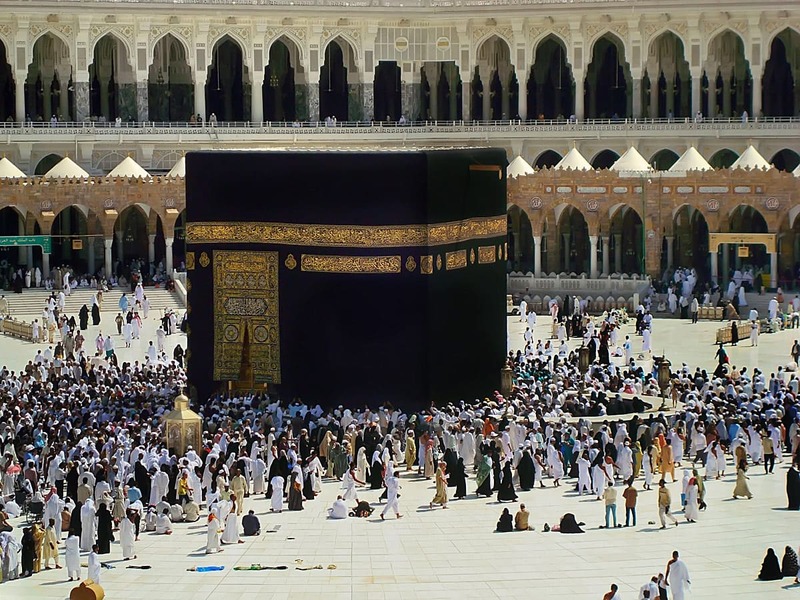 Place for worship in Islam is called mosque. Mosques serve also for education, news exchange, dispute settling. Initially, in the 7th century mosques were unpretentious, large halls for gatherings. Over the time, as Islam was spreading, there developed diverse, locally adapted architectural forms of mosques. With the help of an intuitive African guide, the author and three friends set out to sail down the Niger River to Timbuktu, meeting with killer bees, hippopotami, crocodiles, blind bushmen, and a hundred naked women along the way.